Hello, this is J. Kent Holland. 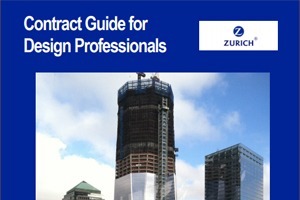 It’s my pleasure to present this course on contracts for design professionals. The specific clauses that we will discuss in this particular module of the course will be shown on the next slide. Throughout the presentation, I will be using slides to include examples of the contract language that we’re discussing. With that brief introduction, let’s jump right into the clauses. Severability is another important clause in the contract. It specifics the intent of the parties to preserve the enforceable provisions of the contract, and enables the court to limit the non-enforcement of the contract to the offending provision by severing the offending provision. I like that clause because not only does it say that the overall contract is going to survive if one particular clause comes out. It also says that the balance of the clause that was not unenforceable will survive, and you just simply would pull out the particular section of that clause that was offending. And finally it says that even the clause that is going to be removed because it somehow violates a state law, for example, won’t be totally removed. It will simply be modified to get it as close to the party’s intent but sustainable under the law. An example might be found in the State of Georgia case from about four years ago involving a limitational liability clause in a design professional’s contract that would have limited the liability to $25,000 for all claims by the project owner against the design for all causes of action including negligence. Problem was that the clause also suggested that it was going to be applicable to third party claims against the design firm. Well, you can’t make an Limitation Of Liability apply to anything other than your client. But the problem was the court looked at it and said, we have state anti-indemnity statute, and that statute does not allow you to limit your liability for your own negligence, particularly your sole negligence when dealing with a third party. And so consequently the court said the entire limitational liability clause that had mixed indemnity in with it had to be stricken from the contract. Now I think that had there been a good severability clause, and had that clause started with, “to the greatest extent permitted by law,” then the court could have modified the agreement by simply striking out the indemnity portion of it. Because after all, in that particular contract, the dispute had nothing to do with third party claims. It only dealt with the first party claim by the owner against the design firm. Could’ve easily stricken out the indemnity portion and preserved the intent of the parties as to their own relationship. That’s the value of this clause. A problem that I see with that language is that it suggests that this review is going to make an intrusive observation inspection of the contractor’s work to make an affirmative determination whether it complies with all the applicable laws, statutes, planned specs. And that’s really not what happens under a typical site observation role of the design professional where you have limited site visits, you don’t know all the details of what the contractor has done. And therefore, really you’re only even going to certify to general conformance of the contractor with the plans and specs. And yet, this shop drawing requirement would suggest that the design firm has to go well beyond that, and stamp that it is approving that everything has been done by the book. So we need to revise that. The E.J.C.D.C. at E-500 Article A1.05A11 has a good clause. I’m not going to read this whole thing. But I would like to just put it up here on this screen for you to take a quick look at before we move on. The A.I.A. B-101 at Article 3.6.4.1 uses the word “approved” when it deals with shop drawings. But it spells out the very limited purpose that the review has. And it reads as follows: “The Architect shall review and approve or take other appropriate action upon the contractor’s submittals such as Shop Drawings, Product Data, and Samples, but only for the limited purpose of checking for conformance with information given and the design concept expressed in the Contract Documents. Review of such submittals is not for the purpose of determining the accuracy and completeness of other information such as dimensions, quantities, and installation or performance of equipment or systems, which are the Contractor’s responsibility. The Architect’s review shall not constitute approval of safety precautions or, unless otherwise specifically stated by the Architect, of any construction means, methods, techniques, sequences, or procedures. The Architect’s approval of a specific item shall not indicate approval of an assembly of which the item is a component.” That is a very comprehensive clause. Very well defines what the architect is doing when it reviews and even approves a shop drawing. That is the kind of language that I’d like to see used in a contract. Site safety. The design professional in a contract that is generated by the site owner needs to be really careful to state its limitations upon the role that it has concerning overall site safety versus site safety for its own employees. Now, if you’re using one of the standard form contracts like E.J.C.D..C or A.I.A., you’re not going to have a problem. Those have good language that really defines the responsibility and very well limits that responsibility. So that is the way that the E.J.C.D.C. explains it as stating very clearly that the design firm is not responsible for the safety and security of the site. I’m going to put up a clause that I think is useful in clarifying the owner’s and contractor’s responsibilities. And so you could borrow this type of language to insert into a contract when you see that it is putting too much responsibility onto the design firm. That provision not only defines the role and responsibility of the owner and the contractor, but it also explains that to the extent that the design professional has a role of observing what the contactor is doing, or even reporting to the owner what the contract is doing in the way of site safety, that is only intended to be a benefit to the owner. It is simply, the monitoring of that subcontractor’s work, is not intended to include a review of the adequacy of the contractor’s safety measures. So in other words, it limits how far the design professional must go. I should mention that there are some good cases that have come out in the last year. Again, these are reported on my newsletter at constructionrisk.com, Report available at constructionrisk.com, that explain that even if the design firm has a role in monitoring what the contractor is doing in the way of safety, and reporting that to the owner with monthly reports saying, here’s what the contractor is doing, that does not make the designer responsible for the contractor’s safety procedures, and does not subject the design professional to liability for third party claims from laborers working for the contractor. Take a look at that case because what it does is it explains who has control over the site, who has control over the work. And it’s very important to clarify that limited role that the design firm has. Doing it artfully can avoid that kind of risk and liability. The ConsensusDOCS 240 has language that I do not like. And it says the following: “If the Architect/Engineer has actual knowledge of safety violations, the Architect/Engineer shall give prompt written notice to the Owner.” Now, that provision effectively requires that in the event that the design firm knows of a safety violation, for example, it must report it to the project owner. That is indeed the requirement in a lot of states. For example, New Jersey would say under the Carvalho vs. Toll Brothers case that came out in 1995, that a design firm that has actual knowledge of a danger has a responsibility even to that third party to go out and do something to prevent the injury to the person that might be in imminent danger. But Pennsylvania, on the other hand, shows the exact opposite result, saying that the designer’s responsibility, even if it knows of a safety violation, is really only to its client, the owner, and never directly to the individual laborer, unless the contract said so, or unless the design firm may have done a series of activities in the field that insinuated itself into site safety. And we’re going to talk about that in just a moment. But this ConsensusDOCS language would impose sort of nationally the New Jersey standards. So in conclusion on site safety, my recommendation is that you affirmatively state in the contract that you are not responsible for the safety program and procedures of the general contractor or of the overall project site. That instead, you’re responsible for the site safety of your own employees. Standard of Care. This is one of the more significant aspects of the design professional contract. One that we must pay particular attention to. Owners seem to be more and more often requiring a perfection type standard. Now, professional liability of course is limited to negligent acts, errors, and omissions. But owners sometimes include language in their contracts that would require the design professional to perform to a standard of care that’s greater than what is generally accepted. Now a clause like that one that requires the highest standard of care goes beyond what a court would impose at common law. Because the law of a land, if you will, in courts throughout the United States is that design professionals are held to a standard of care that similar design professionals under similar circumstances, similar project similar budget, similar locality would provide on a project. And they are not held to a perfection standard. So when you agree to this highest, you’re no longer able to defend yourself with an expert witness who is testifying to, well, here’s what, you know, nine out of 10 engineers would’ve done. Here’s what the typical architect would have done. The standard instead becomes, what would this real oddball’s highest possible standard be? And we don’t know what that is until somebody comes in and testifies. So it’s really something that would prevent us from getting a summary judgment. And it’s something that would cause us to have liability that we’re not going to be insured for. So we need to strike it from the contract. The A.I.A. B-101 for the first time actually includes a standard of care provision. And the provision is an excellent one. And I really recommend that if you’re not already using this standard, please take a look at it. And if an owner gives you a contract that has a standard that’s greater than this or different from this, use this to revise that language. Now, I use that type of language when I can’t get a project owner to agree to remove the highest language, or perhaps they have language that you’re going to be held to a standard of trust and confidence. Well, that sounds like fiduciary duty. Or perhaps it says you’re going to design for the fitness of the intended project or it’s going to merchantable. That’s uniform commercial-type code language. That would be warranty language. I try to strike all that out of the contract. But if the owner won’t agree to it, then try to add this sentence in and it sort of alleviates those problems by clarifying in one sentence that you have no warranties. Again, my language is: “No warranty or guarantee, either expressed or implied, is made or intended by this Agreement.” I particularly use that language when I see in a contract that we have perhaps a reasonable standard of care in one article, but then scattered all around the contract, the owner has placed these little “gotchas” where it looks like you’re warranting one thing or guaranteeing another thing. In this way, it’s sort of a catch-all. It takes care of all those little hidden gems all over the contract, I hope, by having it in one place saying there are no warranties. Thank you for joining me today. I hope you enjoyed this session that we did on risk management. And if you would like to contact me, I am putting a slide up here at the end that has my name, phone number, email address and website information. Don’t hesitate to call me or contact me, and particularly if you would continuing education credits. We’ll explain how that can be accomplished. Thanks. I look forward to seeing you again.